Donald Trump took to Twitter late Thursday night to call out Democrats for blowing the "narrative" surrounding Attorney General Jeff Sessions out of proportion, adding that Dems were just "saving face" after losing an election "that everyone thought they were supposed to win." In four tweets, Trump emphasized that Sessions "is an honest man" and reiterated that he believes the AG did nothing wrong. The president also pivoted back to the administration's leaking problem: "The real story is all of the illegal leaks of classified and other information. It is a total 'witch hunt!'" 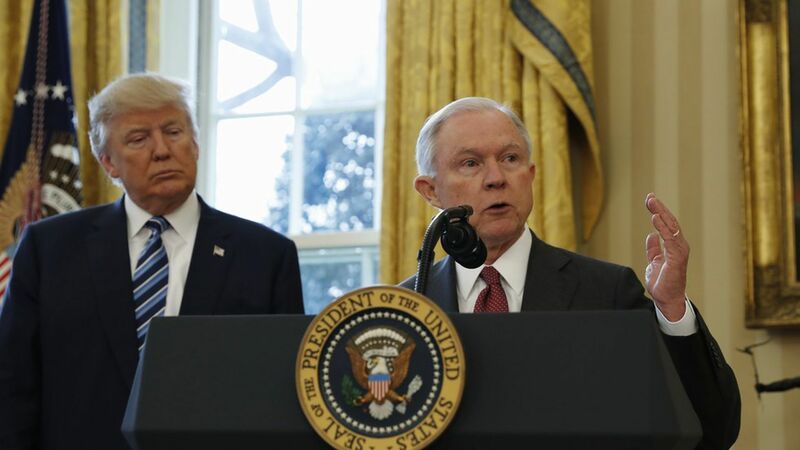 ICYMI: Sessions announced today that he is recusing himself from all investigations involving the Trump campaign amid the drama surrounding his meetings with the Russian ambassador to the U.S.